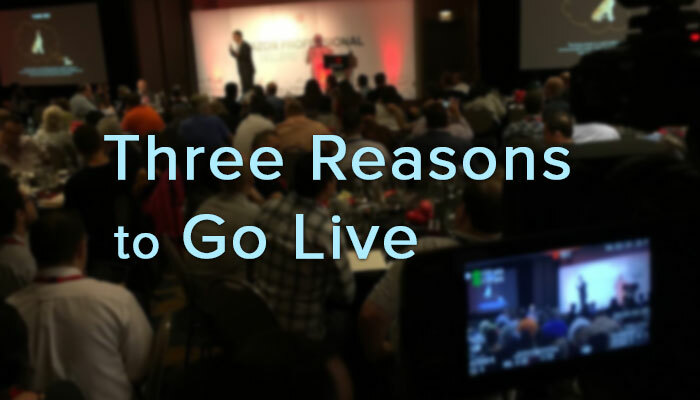 Engage your remote networked audiences with a live experience. Broadcast your keynote or the entire conference to Facebook Live. Broadcast your chief executive’s updates to your remote staff. Involve your business partners and retailers in your product launches. Today’s audiences are remote, networked, and highly engaged with live online experiences. We have the strategies, experience & staff to involve your remote consumers, business partners, or employees in your next event. 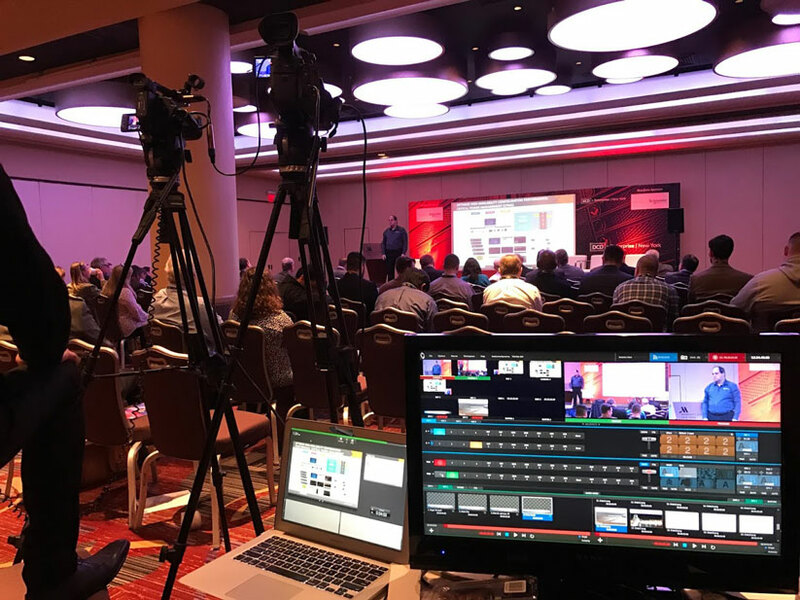 Our single focus on live webcast of corporate events and meeting means that you get services designed specifically for your needs. We work with you on project assessment and give you a quick fixed cost proposal that you can share with your team. See the results in 30 seconds. Opening screen. Multi-camera. Big/little with the presentation. Title overlays. Let our procedures & experience guide you to a successful broadcast every time. Our crews have the expertise to take care of the details so you don’t have to. We can implement cost saving procedures. Skeleton crews when needed — all of this means lower costs. Get a quick easy quote now! At WPRNY, we will work with you on a project assessment and strive to give you a quick written fixed cost proposal that you can share with your team. Here are some sample budgets for “typical” gigs. If one of these projects and resulting budgets matches what you are looking for, then click on the “check availability” button to provide some more information, so we can confirm our availability and give you custom estimate for the specific work you want us to do. We will work with you on a project assessment and we strive to give you a quick written fixed cost proposal that you can share with your team. Tell us a bit about your project and get a free no-obligation proposal right now.